Hey guys, I've got a dilemma and I was wondering if any of you had the answer. I built a 331 stroker for my 73 and its mated to a toploader. I am running the stock equalizer bar for the clutch. The problem now comes in, I need headers! I wanted to run full lengths but was told that this is not possible. So I'm looking at shorties and I've narrowed it down to two. The Hedmans look like they will fit for sure but the Patriots having bigger primaries and collectors will breathe better. Should I take the chance and get the Patriots or play it safe with the Hedmans? Here are some pics of the equalizer bar set up. What are you guys running for headers? I would go with what I know works. I'm very much interested in the answer to the headers question above too because I've got a 302W with stock equaliser bar on a 3spd toploader. 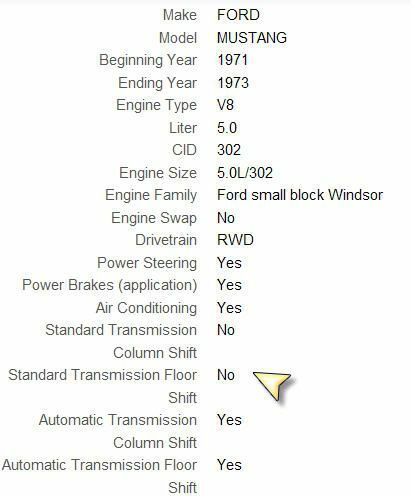 The application chart on the Summit site mark the Hedmans a no go for manual floor floor shift cars, but the Patriot application chart list them as compatible, so what's true?? Because of the 331, I'd take a chance on the Patriots and larger primaries and collector. It will build some more power at the top of the band, and some less torque at the bottom of the band. Headman's notoriously hang low don't they? johndoe000;14225 Wrote: Hey guys, I've got a dilemma and I was wondering if any of you had the answer. I built a 331 stroker for my 73 and its mated to a toploader. I am running the stock equalizer bar for the clutch. The problem now comes in, I need headers! I wanted to run full lengths but was told that this is not possible. So I'm looking at shorties and I've narrowed it down to two. I ran full length in my car (351cj) with same exact stock 4spd setup..& will be doing the same again. heres full length for 4spd.. The summit brand headers have a note that they will not fit 71-73 mustang/cougar with 4 speed? johndoe000;15801 Wrote: The summit brand headers have a note that they will not fit 71-73 mustang/cougar with 4 speed? he has the 351c and you got the 302, completely different routed headers. i would call up patriot header company and ask them the return policy. i've heard in other forum that the 1.5 primary tube headers are to add low end torque but start lacking up top. if your going to rev her pretty high, then go with larger primaries. if not, the 1.5 will be fine. "Standard Transmission Floor Shift	Yes"